Breakfast, lunch, hot tea or just a cup of java and maybe a doughnut. 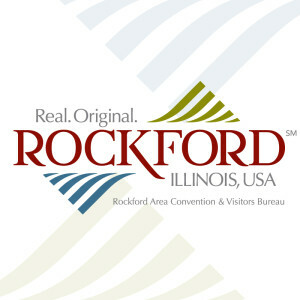 Coffee shops in Rockford are the ideal location to meet a friend, get some work done or simply just to relax. Many of these locations also offer occasional live music and other events, so keep your eye out! In downtown Rockford, three shops all within walking distance will give you the jolt you are looking for and some great foods to pair with it. From the Rockford Roasting Company, whose drip coffee and outdoor seating makes it hum with hipsters, to Octane Interlounge, which constantly has a host of business professionals holding daytime meetings and then converts to a great restaurant and bar at night, to Wired Café, which is nestled along a cozy corridor filled with eclectic shops and restaurants. These quaint cafes are the perfect stop while strolling the shops or while waiting to take in a community festival or a show at the historical Coronado Theatre. Just a quick jump away from downtown is the Midtown District where Katie&apos;s Cup is the neighborhood coffee shop where friends gather and community meetings take place. If you are looking for a quick cup on the go, then check out the changing flavor-of-the-day at Meg&apos;s Daily Grind.